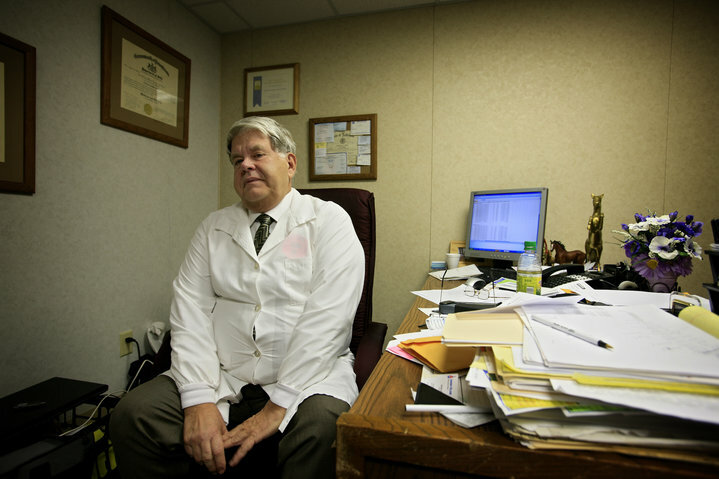 Dr. LeRoy Carhart is one of the very few courageous doctors to provide late abortions. He has persevered in the face of legal obstacles and anti-woman terror, including the murder of his friend and colleague Dr. George Tiller. Recently, his clinic in Maryland was abruptly closed by the landlord, who announced it had been bought by anti-woman fascists. Dr. Carhart is waging a battle to defend and protect the right of all women to have access to abortion. Craig Steven Wilder, professor of history at the Massachusetts Institute of Technology, talks about his book Ebony & Ivy: Race, Slavery, and the Troubled History of America's Universities, which lays bare uncomfortable truths about race, slavery, and the American academy. Many of America's revered colleges and universities -- from Harvard, Yale, and Princeton to Rutgers, Williams College, and UNC -- were soaked in the sweat, the tears, and sometimes the blood of slaves. The slave economy and higher education grew up together, each nurturing the other. Slavery funded colleges, built campuses, and paid the wages of professors. Originally broadcast October, 2014. Craig Steven Wilder is the Barton L. Weller Professor of History at the Massachusetts Institute of Technology. He is a historian of American institutions and ideas. An hour-long conversation with Edward Baptist about The Half Has Never Been Told: Slavery and the Making of American Capitalism. Told through intimate slave narratives, plantation records, newspapers, and the words of politicians, entrepreneurs, and former enslaved people, The Half Has Never Been Told gives you a glimpse of the world in a way that you never imagined before, or that you didn't understand thoroughly before. The expansion of slavery after American independence drove the evolution and modernization of the US, making the South a continental cotton empire, and the US a global capitalist economic power. Through forced migration and torture, slave owners extracted continual increases in production from enslaved African Americans, giving the US control of the world market for cotton, the key raw material of the Industrial Revolution. Edward Baptist is an American academic and writer. He is Associate Professor of History at Cornell University, located in Ithaca, New York, where he specializes in the history of the 19th-century United States, and particularly the South. Douglas A. Blackmon’s book, Slavery by Another Name – The Re-Enslavement of Black Americans from the Civil War to World War II, has unearthed ugly chapters of U.S. history that have been buried for decades. In graphic and truthful detail, Blackmon reveals the widespread use of bonded labor after the Civil War—and how this amounted to a new form of slavery that incorporated many of the same inhuman conditions of brutal confinement like shackles, whippings, hog-tying. and water torture. This interview was originally aired in 2008. Douglas A. Blackmon, the Atlanta Bureau chief of the Wall Street Journal, has written about race and especially the interplay of wealth, corporate conduct, and segregation. In 2000, the National Association of Black Journalists recognized Blackmon’s stories revealing the secret role of J.P. Morgan & Co. during the 1960s in funneling funds between a wealthy northern white supremacist and segregationists fighting the Civil Rights Movement in the South. Dan Rasmussen, the author of American Uprising, the Untold Story of America's Largest Slave Revolt, tells the story of this deeply covered up slave rebellion in 1811 - how it took shape, how it was fought, the savage repression against the rebellious slaves and its significance for today. American Uprising is the riveting and long-neglected story of this elaborate plot, the rebel army's dramatic march on the city, and its shocking conclusion. Through groundbreaking original research, Daniel Rasmussen offers a window into the young, expansionist country, illuminating the early history of New Orleans and providing new insight into the path to the Civil War and the slave revolutionaries who fought and died for justice and the hope of freedom. Dr. James Loewen, Sociologist and Author, discusses his book, The Confederate and Neo-Confederate Reader: The Great Truth about the Lost Cause. Using the words and documents of the Confederates and Neo-Confederates themselves Loewen shows that the Confederate leaders were open and out front about why they started the Civil War: to protect slavery and the society based on white supremacy. What more can you say about the heritage, traditions and culture of the Southern Confederacy and the character of those who uphold its traditions today? This interview originally aired October, 2010. James Loewen is a Sociologist, Historian, Author, and Professor at Catholic University. In this interview from February, 2015, Dr. Paul Offit talks with Michael Slate about the importance of vaccinations for children and the danger of the growing anti vaccine trend in the world today. Paul A. Offit, MD, is the Director of the Vaccine Education Center at the Children’s Hospital of Philadelphia, the Maurice R. Hilleman Professor of Vaccinology and Professor of Pediatrics at the Perelman School of Medicine at the Univ. of Pennsylvania. He is also the co-inventor of a rotavirus vaccine that has been credited with saving hundreds of lives every day. Dr. Michael Mann on the IPCC Climate Report, John Deans, Greenpeace, & Arctic Drilling. John Deans on the danger of drilling for oil in the Arctic and the need to stop it. A recent report from the Bureau of Ocean Energy Management declared that there is a 75% chance of a large oil spill in the Arctic if oil companies drill there. It would be impossible to clean up. Michael Mann on a report from Intergovernmental Panel on a report from Intergovernmental Panel on Climate Change (IPCC), which contains a grim, strongly-worded assessment of dangers facing the planet the life on land and sea, and the future of humanity. Interview with Mertilla Jones, Grandmother of Aiyana Stanley-Jones, a 7-Year-Old Who Was Murdered in 2010, by Detroit Police. On May 16, 2010, Aiyana Stanley-Jones was murdered, shot in the head by a Detroit cop through the window of her home as the 7-year-old slept on a couch with her grandmother. No police have been held accountable for this cold blooded killing. Mertilla Jones, Aiyana's grandmother, talks about the night the police invaded her home, and about her current efforts to organize Rise up October/ Which Side Are You On? Interview with Historian and Author Ilan Pappe, on the Ethnic Cleansing of Palestine. Israel and Gaza: the truth told in the voice of Israeli Historian Ilan Pappe as he lays bare the reality of the historical and current ethnic cleansing and incremental genocide of the Palestinian people, and digs into the 2014 Israeli assault of Gaza. Margaret Regan, Author of Detained and Deported, Stories of Immigrant Families Under Fire; Bob Avakian, Chairman of the Revolutionary Communist Party on “Why Do People Come Here From All Over the World?” Georgiana Williams, Mother of Damian Williams, One of the LA4+, Who Were Indicted Following the 1992 LA Rebellion. Margaret Regan, Detained and Deported: Stories of Immigrant Families Under Fire, about thousands of long- time residents being deported at unprecedented rates. Bob Avakian speaks on Why Do People Come Here from All over the World? Georgiana Williams, mother of Damian Williams, one of the LA4+, young Black men jailed for the events at Florence & Normandie in the early hours of the 1992 LA Rebellion. She talks about her life in rural Mississippi and calls for Black and Immigrant solidarity. Oscar Brown Jr. talks about his life, his music, his poetry and his politics from his start as one of the first Black radio hosts to the influence of Paul Robeson and his life as one of the premier songwriters and performers in the country.